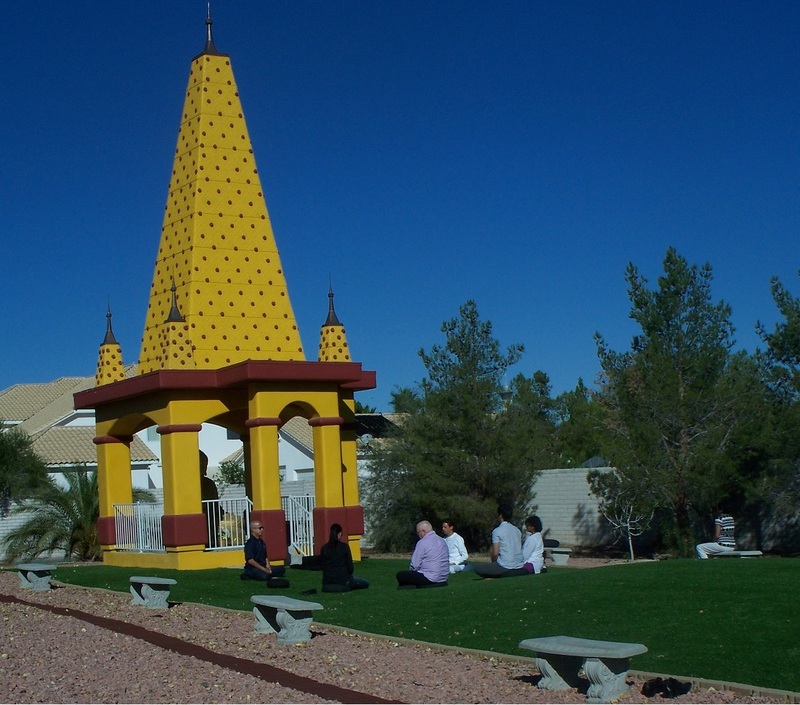 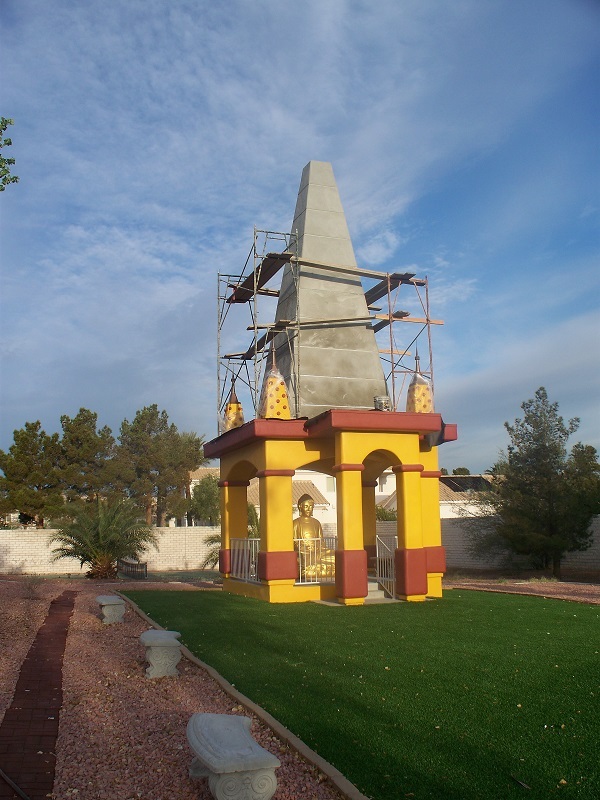 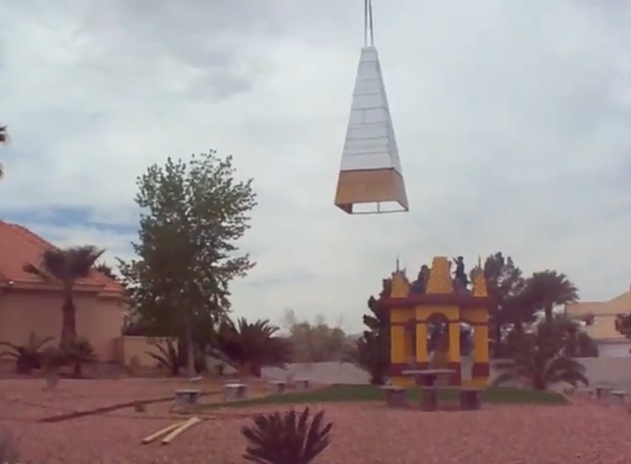 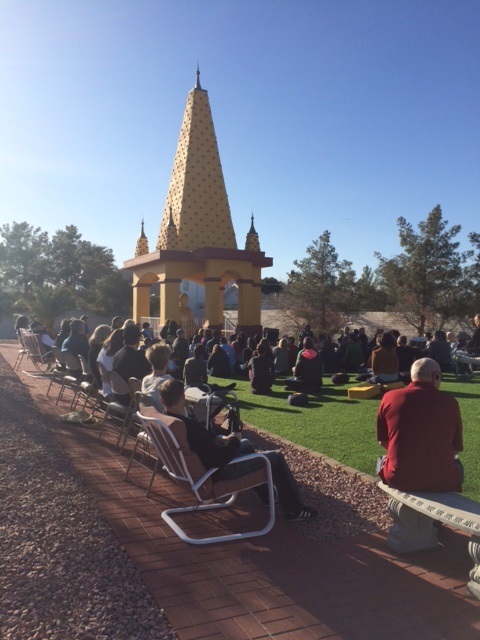 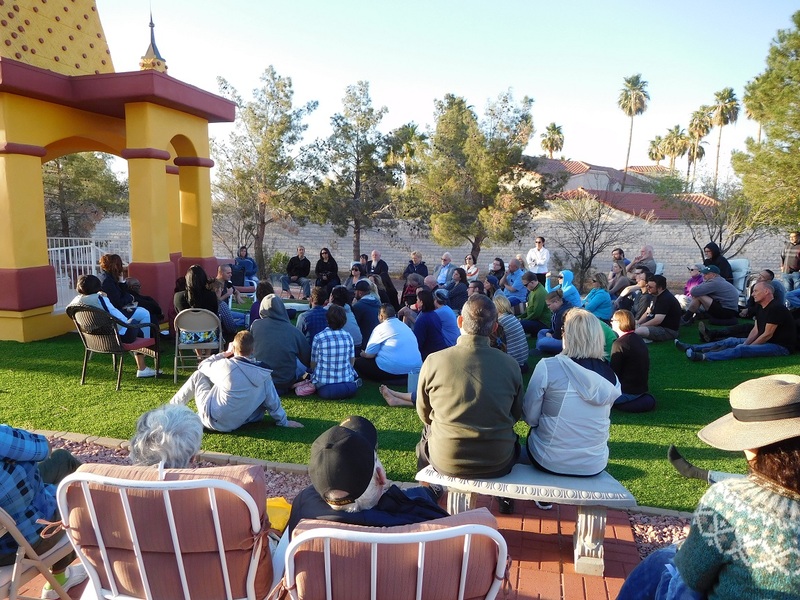 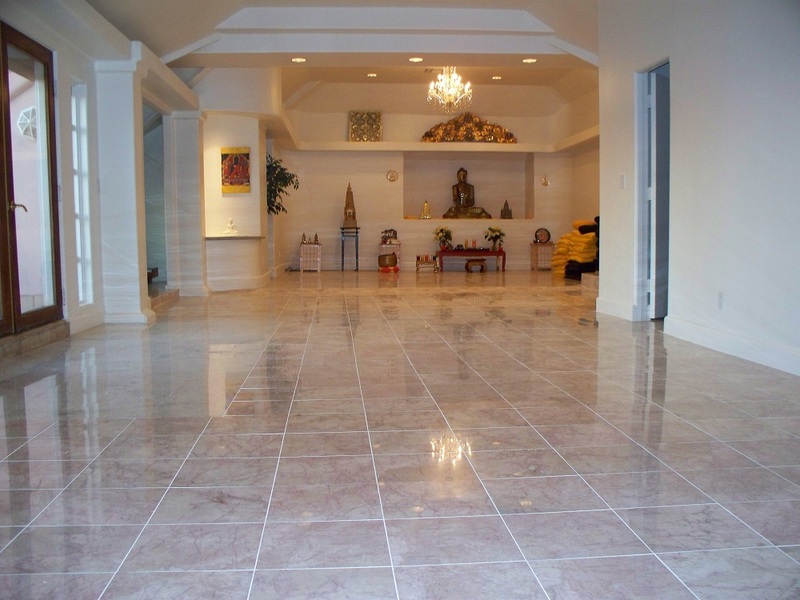 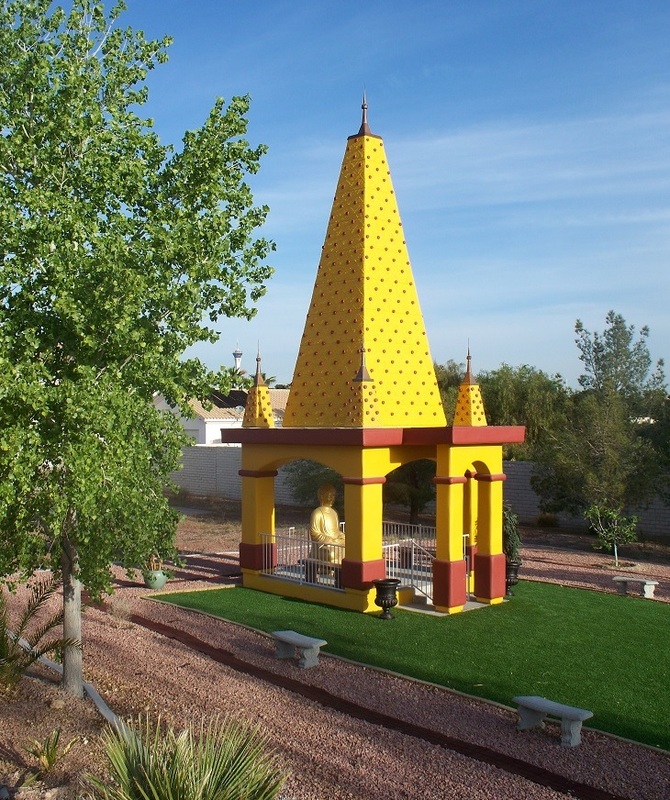 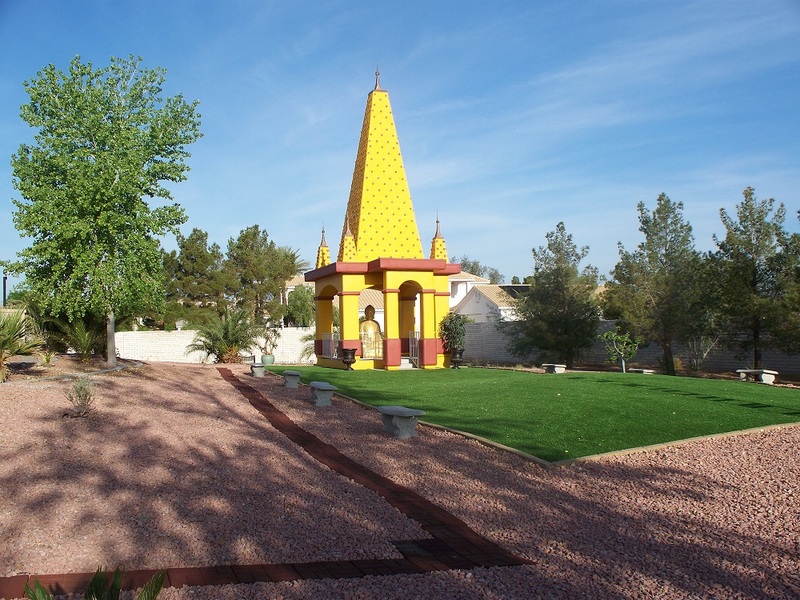 Maha Bodhi Las Vegas is a Dhamma center in Las Vegas, Nevada. 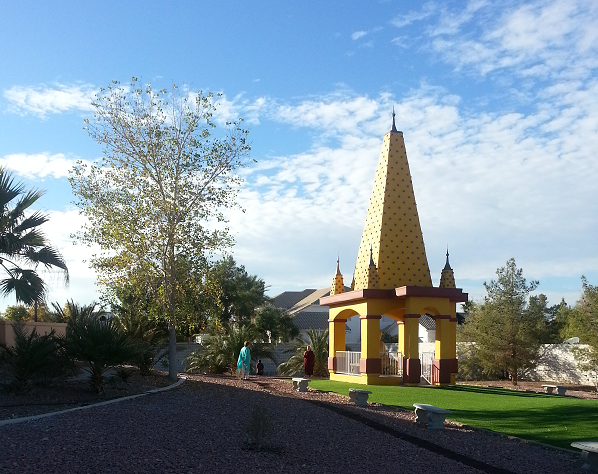 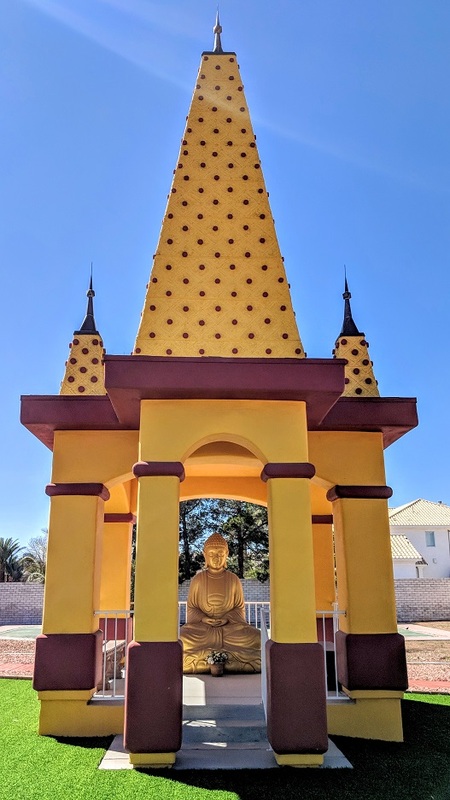 A Maha Bodhi Temple replica has been built on the grounds of the property. 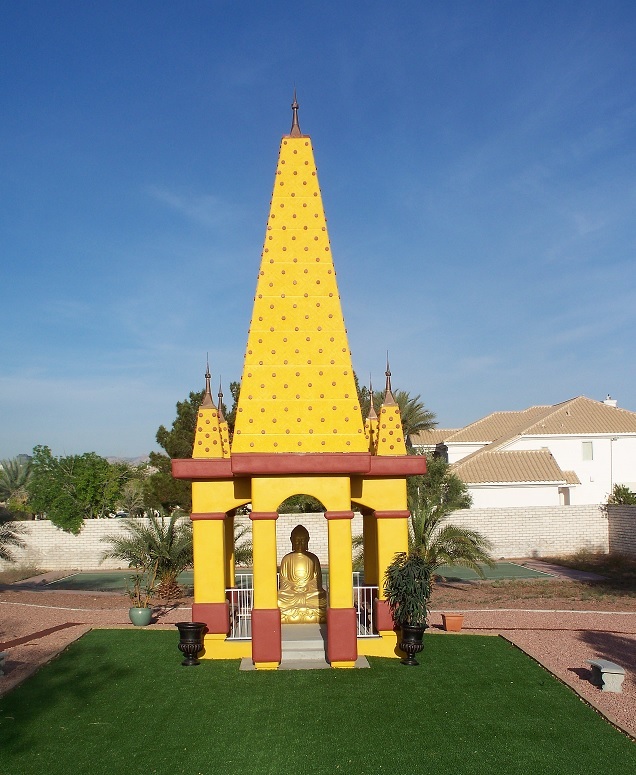 The structure is one of only a few temples with the Maha Bodhi replica design outside of Asia. 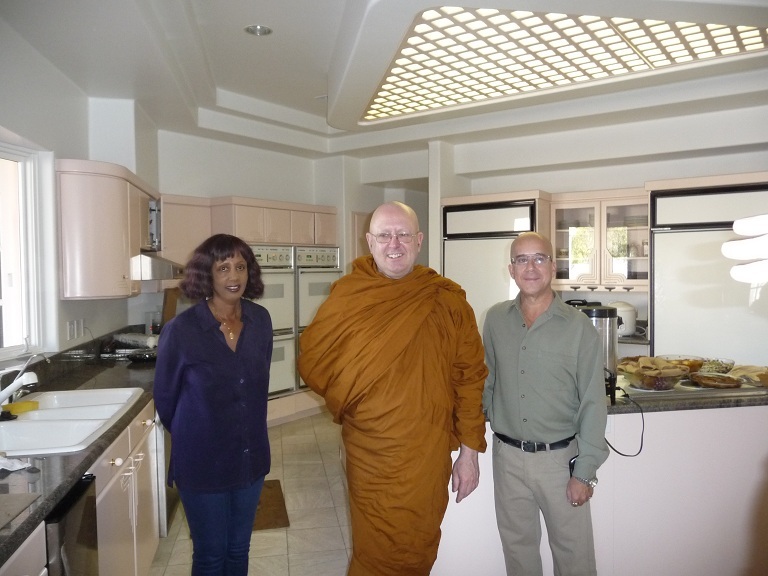 The private home of Dhamma Wiki and Vipassana Foundation founders David N. Snyder and Woinishet Snyder, for additional use as a Dhamma center and retreat center. 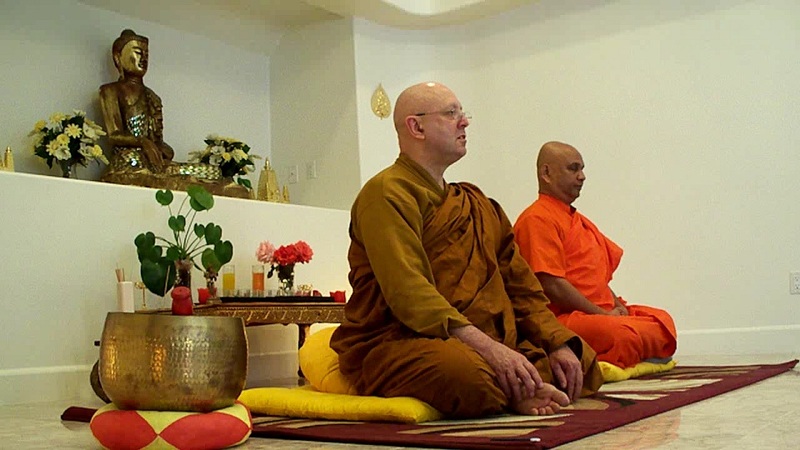 The property, websites and other Dhamma related activities are all in private name, not this or any other charity name and no funds are solicited as all are paid by the owners. 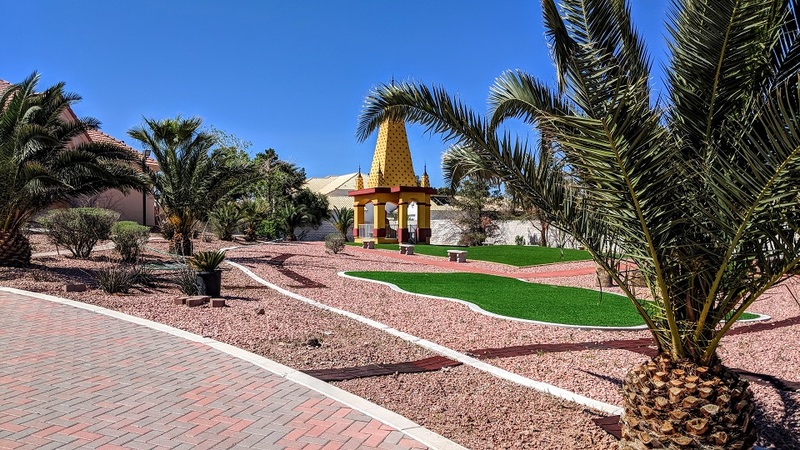 The facilities include 2.6 acres (10,500 sq. 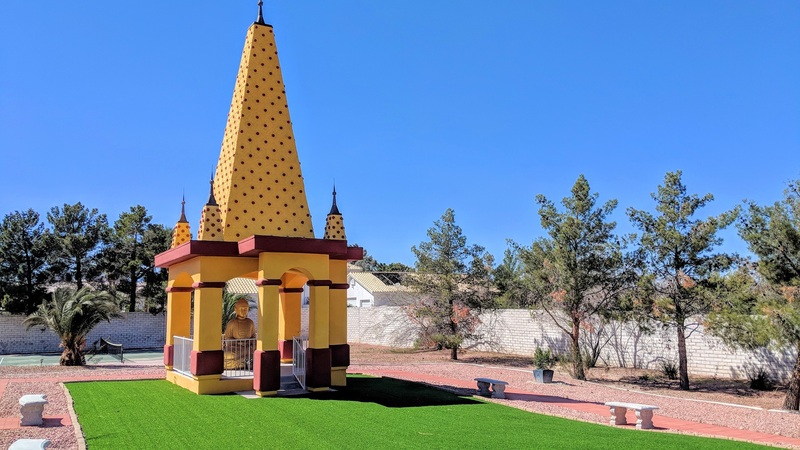 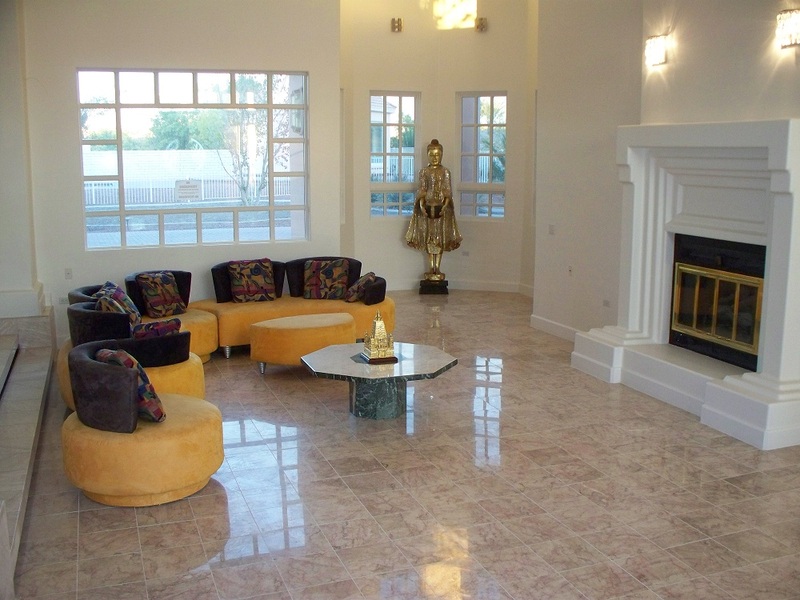 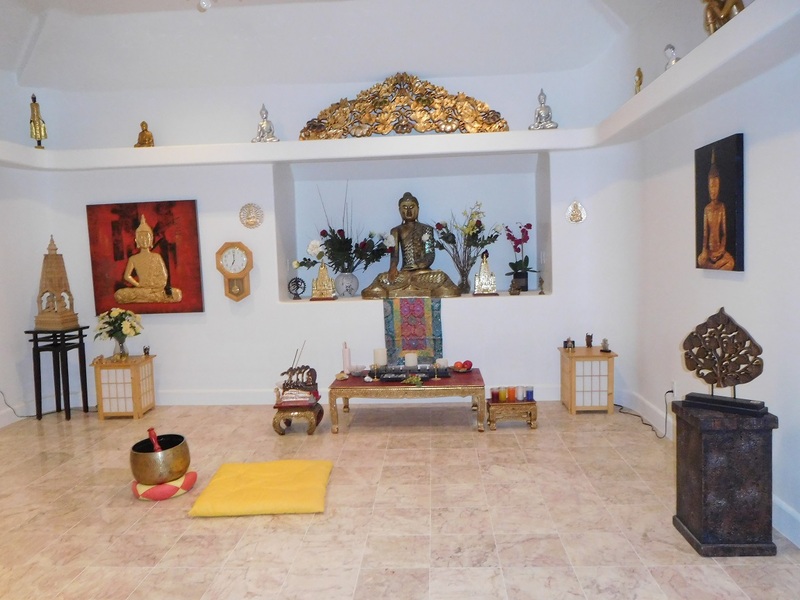 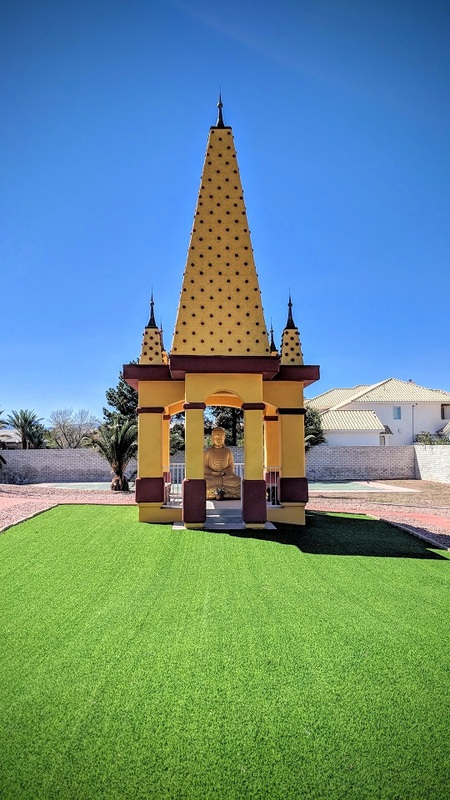 meters or 1.05 hectares) in central Las Vegas with main house and a large meditation hall, Maha Bodhi Temple replica and two guest houses. 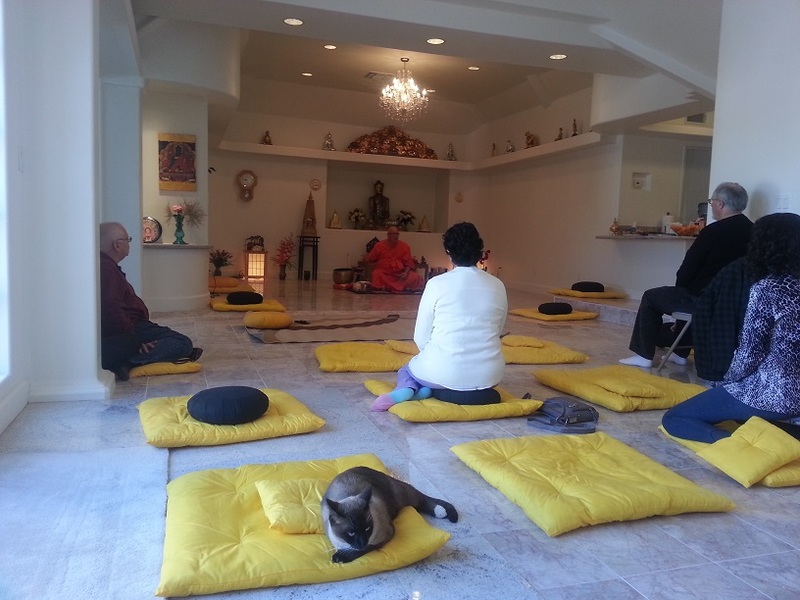 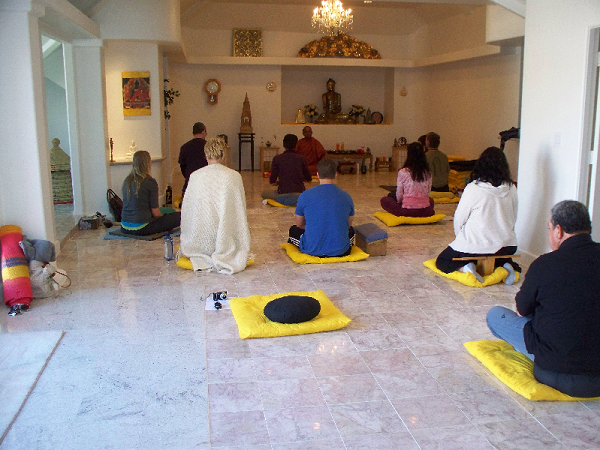 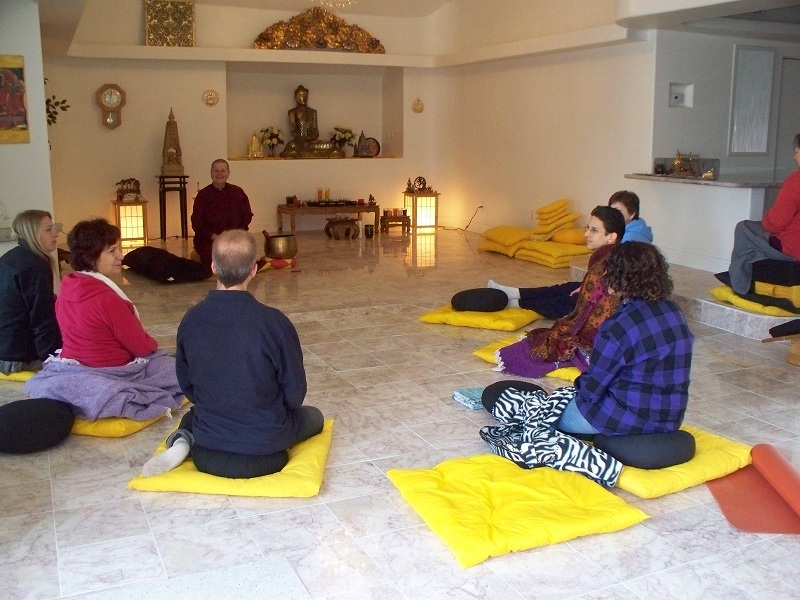 Occasional programs with visiting monks or nuns and retreats; no regular schedule currently. 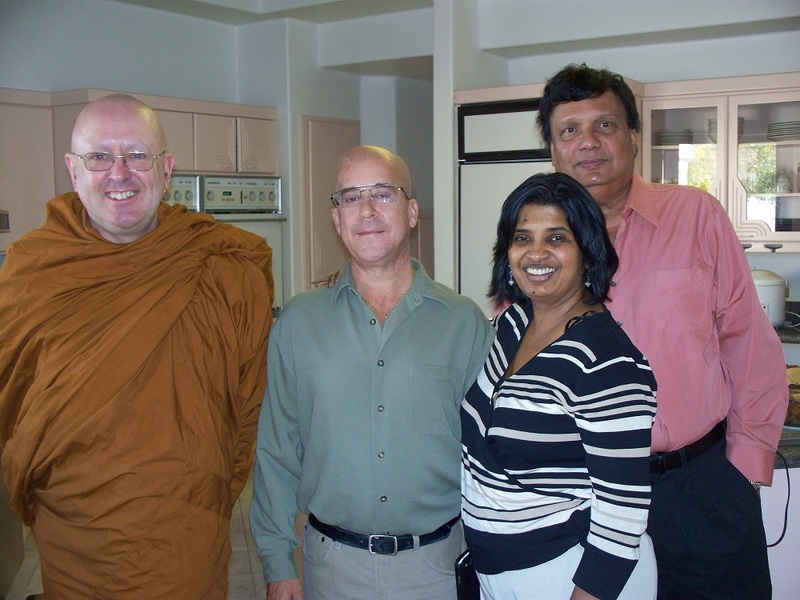 The domain name: http://www.mahabodhilv.com/ redirects to this page. 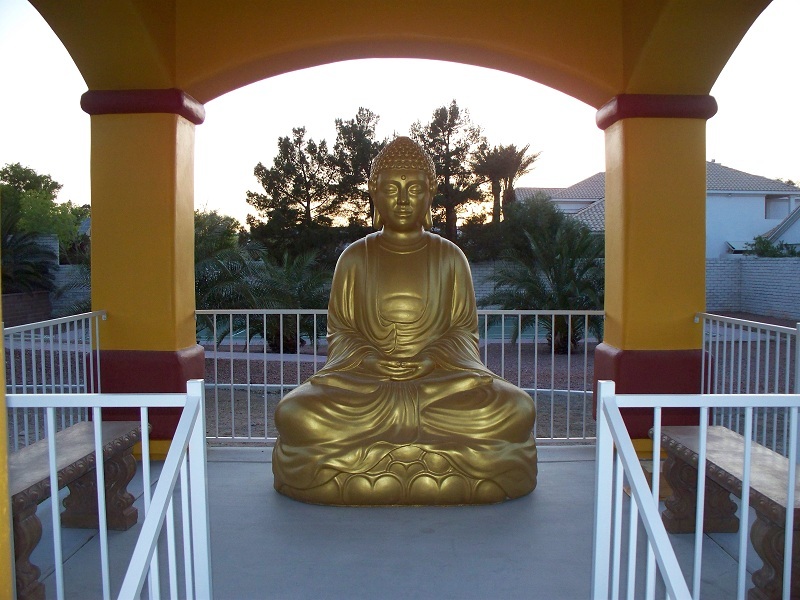 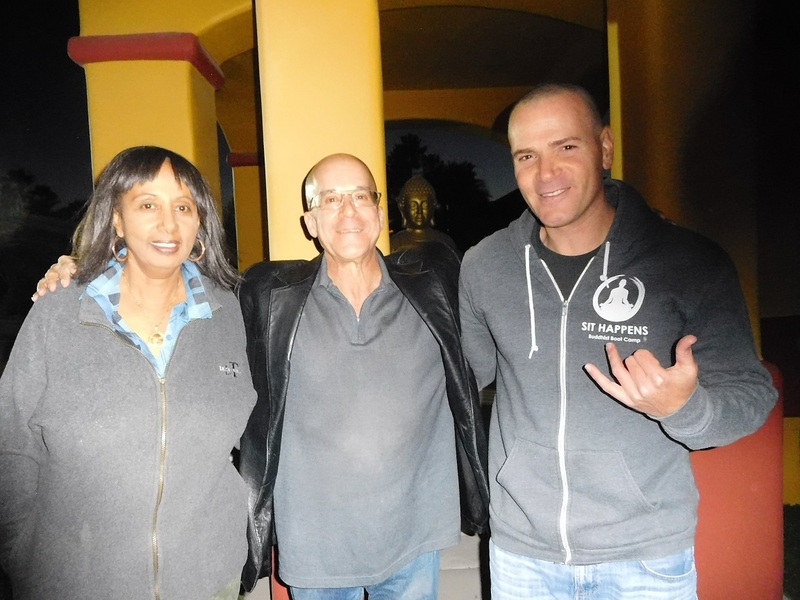 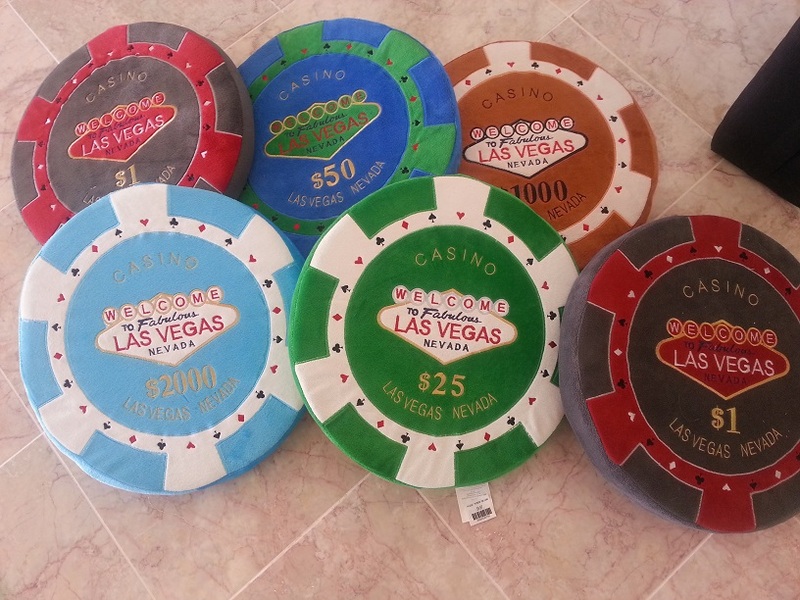 The domain name: http://www.mahabodhi.vegas/ redirects to this page. 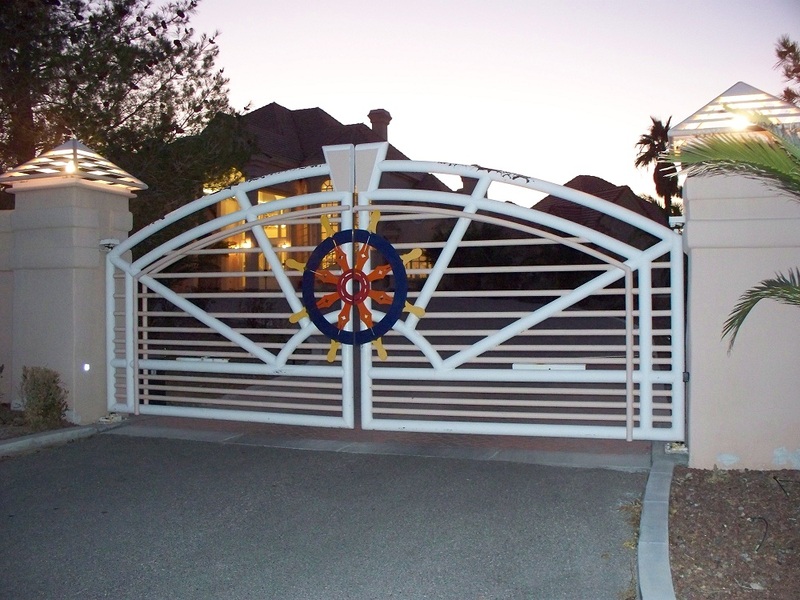 This page has been accessed 290,544 times.